Patients with acute upper GI bleeding. The AIMS65 Score for Upper GI Bleeding Mortality was designed to predict mortality in adults presenting with acute upper GI bleeding. Does not rely on endoscopic data and can be easily calculated in the ED. Each letter of the mnemonic (including “65”) represents an equally weighted risk factor that is cumulative in predicting severity of upper GI bleeding. Mortality increases with each positive risk factor. Cost and length of stay (LOS) also correlate closely with higher scores. Of the 5 components, albumin was the single most predictive factor of mortality, perhaps as a surrogate of comorbid disease. The Glasgow-Blatchford Score (GBS) has demonstrated greater sensitivity and negative predictive value for low risk bleeding; therefore, a low AIMS65 score should not be used to dictate discharge (Yaka 2013). A large multinational prospective trial demonstrated the GBS to be superior to the AIMS65 in predicting need for intervention (transfusion, endoscopic treatment, IR, or surgery) or rebleeding, although the AIMS65 remained a better predictor of mortality (Stanley 2017). Due to its retrospective development from a large database, correlation with endoscopic outcomes, rebleeding rates, and transfusion requirements is not known. Only a small fraction (1.7%) of patients in the model were cirrhotic, although the AIMS65 score remains predictive of mortality in patients with liver disease (Gaduputi 2014). Simple and quick to calculate. Uses information available prior to endoscopy. Highly predictive of mortality, cost, and LOS. Validated in a very large cohort. Initial management should always focus on hemodynamic resuscitation prior to risk stratification. The AIMS65 Score was derived retrospectively in 2011 from a cohort of >29,000 patients from 187 hospitals admitted with acute upper GI bleeding from 2004-2005 (Saltzman 2011). 30 distinct factors were examined (including gender, hemoglobin, vital signs, various comorbidities) and the 5 components with highest discriminatory power were included in the model. Scores were equally weighted and validation was done on a separate cohort of >32,000 patients from 2006-2007. The performance of the AIMS65 Score has been subsequently tested in numerous populations. The AIMS65 is superior to the GBS in predicting mortality, but the GBS is superior in predicting need for transfusion (Hyett 2013). Current validation studies show that AIMS65 is superior to the GBS and the Pre-endoscopy Rockall Score for predicting in-hospital mortality, ICU admission, and length of stay (Robertson 2016). Saltzman JR, Tabak YP, Hyett BH, Sun X, Travis AC, Johannes RS. A simple risk score accurately predicts in-hospital mortality, length of stay, and cost in acute upper GI bleeding. Gastrointest Endosc.2011;74:1215–1224. Thandassery RB, Sharma M, John AK, et al. Clinical Application of AIMS65 Scores to Predict Outcomes in Patients with Upper Gastrointestinal Hemorrhage. Clinical Endoscopy. 2015;48(5):380-384. doi:10.5946/ce.2015.48.5.380. Stanley AJ, Laine L, Dalton HR, et al. Comparison of risk scoring systems for patients presenting with upper gastrointestinal bleeding: international multicentre prospective study. BMJ. 2017;356:i6432. Gaduputi V, Abdulsamad M, Tariq H, Rafeeq A, Abbas N, Kumbum K, Chilimuri S. Prognostic value of AIMS65 score in cirrhotic patients with upper gastrointestinal bleeding. Gastroenterology research and practice. 2014 Dec 22;2014. Yaka E, Yılmaz S, Özgür Doğan N, Pekdemir M. Comparison of the Glasgow‐Blatchford and AIMS65 scoring systems for risk stratification in upper gastrointestinal bleeding in the emergency department. Academic Emergency Medicine. 2015 Jan 1;22(1):22-30. Hyett BH, Abougergi MS, Charpentier JP, Kumar NL, Brozovic S, Claggett BL, Travis AC, Saltzman JR. The AIMS65 score compared with the Glasgow-Blatchford score in predicting outcomes in upper GI bleeding. Gastrointestinal endoscopy. 2013 Apr 30;77(4):551-7. Robertson M, et al. Risk stratification in acute upper GI bleeding: comparison of the AIMS65 score with the Glasgow-Blatchford and Rockall scoring systems. Gastrointestinal endoscopy 83.6 (2016): 1151-1160. 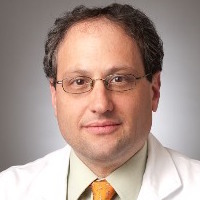 John Saltzman, MD, is a professor of medicine at Harvard Medical School. He currently serves as the Director of Endoscopy at Brigham and Women’s Hospital. His research focuses on on ERCP and endoscopic ultrasound/FNA.